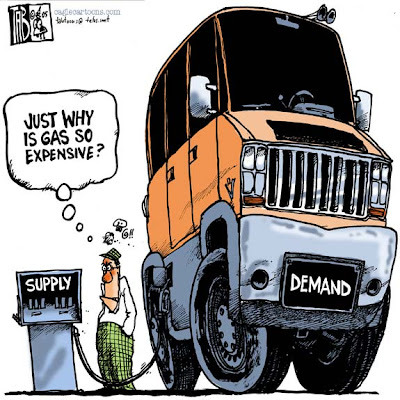 Google+ Consumer Psyche: Fuel Price Rise? Think again. Diet Snapple, 16 oz, $1.29 ... $10.32 per gallon! Lipton Ice Tea, 16 oz, $1.19 ... $9.52 per gallon! Gatorade, 20 oz, $1.59 ..... $10.17 per gallon! Ocean Spray, 16 oz, $1.25 .. $10.00 per gallon! Brake Fluid, 12 oz, $3.15 .... $33.60 per gallon! Vick's Nyquil, 6 oz, $8.35 ... $178.13 per gallon! Whiteout, 7 oz, $1.39 ......... $25.42 per gallon! Scope, 1.5 oz, $0.99 .....$84.48 per gallon! So they can hook you for the ink. Someone calculated the cost of the ink at, you won't believe it but it's true; $5,200 a gal.